In the collection of imported Amazon products in Pakistan find Playhut Thomas the Train Play Vehicle online in Pakistan that is exclusive for the kids. 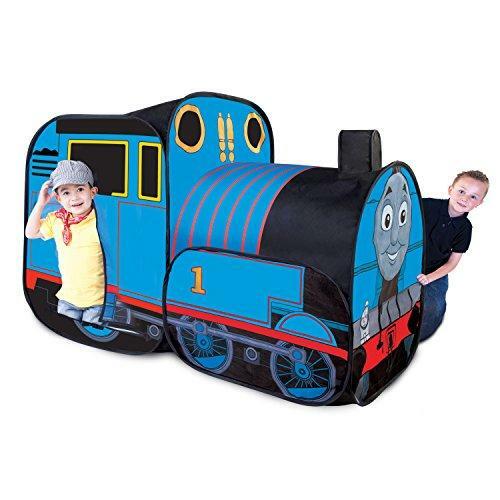 It has instant twist and setup technology and available in reasonable price for Playhut Thomas the Train Play Vehicle online shopping in Pakistan. Train play vehicle has the structure of 38x52x26 inches size. Kids can keep the train on right track activating the conductors. It comes with the carry bag. Place your order now and buy Playhut Thomas the Train Play Vehicle online in Pakistan in best price. You can grab it at your home with cash on delivery facility anywhere across Pakistan. Enjoy Playhut Thomas the Train Play Vehicle online shopping in Pakistan and explore more imported Amazon products in Pakistan.